As you might expect in such situations, people’s reactions vary widely. The hunters allegedly lured Cecil out of his safe haven in Zimbabwe’s Hwange National Park. Then he was shot and wounded, chased for miles, and finally shot and killed, after what must have been pretty horrible suffering. I can’t help but wonder if some of the protesters, especially the ones threatening violence and murder, condone the inhumane treatment our society often inflicts on farm animals, in so-called “factory farms.” Is not all life sacred? I personally love all animals, wild and domestic. That’s why I’m a vegetarian. I know not everyone agrees with me. That’s fine. I neither judge nor criticize those following a different path. None of us have the right to do that. Here are some words Spirit gave us on animals a while back. Animals have spirits (or souls) which are just as real and as deserving of love and respect as humans. Animals have the same intense feelings and emotions as humans. Domestic pets are as much a part of your families as are the humans. If you choose to eat meat be sure the animals are raised humanely. Give thanks to the animals’ spirits before you begin eating. Respect and honor the choices other humans make, whether you’re vegetarian or not. Animals can teach you much about love and healing. They are far wiser than most humans know or acknowledge. Your animals are always with you. Your relationships with them continue beyond the veil of death. Here’s a well-done, sometimes graphic, short video on animal rights. If you’re particularly sensitive, watch it with caution. It features well-known figures such as American comedian Ellen Degeneres, Australian philanthropist Philip Wollen, and Ingrid Newkirk, president of People for the Ethical Treatment of Animals (PETA). How Do You Decide To Be a Vegetarian or a Meat-Eater? How do you feel about big-game trophy hunting or factory farms? Do you believe animals have the same right to life as humans? Please share your thoughts and comments with us below. Thanks to all who participated in this lively discussion of Cecil the Lion. I found another article about him with a different slant. I think all our readers will enjoy it. 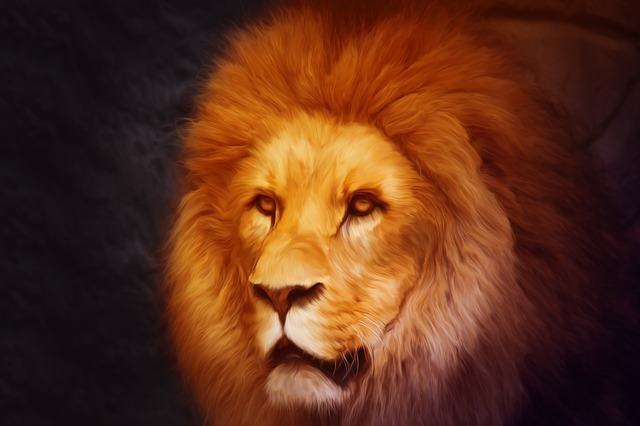 How Vegans Should Be Responding to Cecil the Lion by Katie Medlock appeared in Care 2’s Healthy Living magazine 2 days ago. Her article is a refreshing contrast to some of the extreme, and even hateful, opinions expressed by people on both sides of the issue. Katie, in my opinion, did a great job of writing a balanced, sane assessment. She calls on all of us to be reasonable, and kind, to all living beings, human and animal. What an amazing soul he is, still working and serving us all. I am in awe. Thanks very much, Barbara. I think Cecil has touched many more people, and more deeply, in death than in life. (Of course, we know there is no death.) He truly is an amazing soul! Thank you and blessings to all. I am blessed by having a granddaughter who is a vegetarian. The best I have done so far is to limit myself to salmon and chicken or turkey when called for. For all of my 80 years as I was learning, I gradually gave up my beloved veal, then all beef. I am in constant horror over observing how lobsters are treated, cooked, and eaten. I would like to support legislation that prohibited the capture, ownership, cooking, and eating of lobsters. Someone should produce a movie in which a talking lobster with a talking soul is captured, cooked, and eaten. Thanks very much, George, for sharing. I knew your granddaughter was a vegetarian. I agree with you about the cruel way we treat lobsters (and other animals also). Even before I became a vegetarian, I had stopped eating lobsters. My son, who has the same views as you do about lobsters, convinced me to give them up. What I’ve found is that this planet simply offers the biggest possible variety so that you can choose your place in it. Hone your preferences, and create the “you” that you want to create. You see (to varying extents) humans hunting and killing humans, animals hunting and killing animals, humans hunting and killing animals and animals hunting and killing humans. That’s obviously not a coincidence, but rather part of the plan. Personally, I’m no fan of some doctor satisfying whatever urges by wounding and killing a member of an endangered species (which is what happened here). Likewise, I’m not a fan of a lion wounding and killing the next lion, then causing a bloodbath among that lion’s cubs (infanticide) and eating them (cannibalism), following his urges. Thanks very much, beachdrifter, for your wise words. “Coincidentally,” I was thinking about you just this morning. I agree with you – none of this is a coincidence. It’s all part of “the plan” – the plan we all, humans and animals, agreed to before we incarnated this time around. As you say, Source never condemns anyone or anything, not even the murderer, human or animal. Source (God) is a great role model for us humans! Being who we really are (which is God) is the key to solving all these problems confronting our global society today. There is no other answer. As for vegetarianism, I can of course understand the reasoning behind it, but I’ve never felt drawn to the idea myself. It just doesn’t appeal to me, personally. For a while I wondered about why that is, but I’ve never been torn about the subject. Then one day a few years ago, I heard Abraham talk about it, and it clarified everything I was still wondering about. I thought about posting a few links here, but it doesn’t feel like a good idea. Anyone who’s interested can find their take on youtube in quite a few videos. It seems to be one of the most controversial subjects, simply because if you’ve made your mind up about it in a certain way, you’re not going to “hear” what they’re really saying. The more active the specifics of one belief are within you, the harder (if not impossible) it will be to hear or accept a radically different perspective. It’s just how beliefs work. So if you’re a vegetarian and feel good about it (like John), that’s perfect, and there’s absolutely no point in listening to anything else. If you’re not a vegetarian, and feel good about that, there’s no point in listening either, other than perhaps gaining some clarity why you feel how you feel about the subject. But if you’re not a vegetarian, and are somewhat torn about that, I recommend listening to them. Then, you’re open enough to hear, and there’s potential for soothing and clarity that is really worth it! There are radicals on both sides of this issue. (I realize PETA, the organization I talked about in the post, do have radical views). But I think most folks would find your approach a clearly articulated, balanced, and reasonable perspective on the whole issue – I certainly do. Most of the people I know, including my family and close friends, are not vegetarians. I have no problem with them, and they have no problem with me. As my spirit guides often say, all paths lead home. So thank you again, beachdrifter, for your eloquent words. I, and I’m sure others, appreciate you and your wisdom. May we be ALL be restored to The Circle of Life where Love and reverence for ALL AS ONE is The Way. I am afraid I didn’t make it through the video! I too watched something about factory farming over 23 years ago and came to the same conclusion as you and Ellen. I believe Cecil has been a powerful ambassador for all animals on the planet. He was a courageous soul who acted as a catalyst for all creatures and all lands. I bless and honour his courage, his love and his huge soul. Thanks very much, Barbara. I did watch the whole video. It was pretty tough but, thankfully, short. I agree — Cecil is a courageous soul who’s certainly raising the awareness of millions of humans. YES, Barbara, Cecil has a HUGE BEAUTIFUL SOUL!!! Thank you for seeing that! Thank you John, for giving us a place to share how we feel about this heartbreak. You’re most welcome, Martha. And thank YOU for being a precious part of this community. Awww.. what a sweet thing to say, John. I consider it a great blessing to be part of this circle of Spirit friends. There is great love here! Thanks very much, Martha! I too consider it a great blessing to be a part of this wonderful circle. I think his service to the raising of consciousness will open a lot of eyes and hearts to what is really going on. At least those eyes and hearts which are ready to open. Everything on our Earth is alive, be it rocks, trees, grass, the vegetables, fruits, animals both on land and in the sea and air, crawling, four legged, two legged, winged and so forth. All of creation is alive, and all of creation is One. The same respect, honor, love, compassion is due to all. What is done to one, is done to all. It is difficult to see violence in any form, but it is the humans that must make the change within themselves. I agree — my spirit guides often say God/Goddess is “all that is.” They mean all creation, so-called “live” or “inanimate,” are part of God. How could any feeling person look at this magnificent creature and not want to fall down and worship His majesty with awe? May this unthinkably unconscious act serve to raise the consciousness of All by bringing light to this dark sad arena of human selfishness, cruelty and stupidity toward our animal brothers and sisters. It certainly is sad. But, as you said, this is raising the consciousness of people who may not have been as tuned in to animals as the most certainly are now, thanks to Cecil. Rather an interesting article, John, and WELL worth the pondering. But I truly wonder, how many will actually perceive the lesson in this senseless killing? How many will ponder the fact that an animal’s LOVE is actually more pure, and closer to that of The God-head, than that of most of humanity??? Precious few, and those few are those who understand that LIFE is LIFE, and everything has its own level of self and self-awareness: Its own particle of God Given Consciousness. Now, if we could only get Planned Parenthood to understand that principle, we could make tremendous strides toward Enlightenment of SO many who need it, so desperately~! I too am wondering the same things you are. I think when we, as a human race, begin to see clearly the unconditional love animals demonstrate, our attitude toward them MUST change. They too are God.